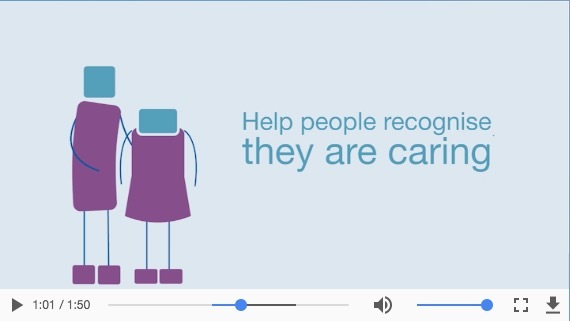 Every organisation in a community can play a vital role in recognising and supporting carers. A Carer Passport scheme provides the ideal focus for this activity. In all aspects of community life, the responsibilities and challenges of caring come into play and there is more that local services and businesses can do to respond to this. Where Carer Passport schemes are already happening, they are welcomed by carers as growing evidence of an appreciation of the crucial role carers play. What is a Community Carer Passport? There is a varied understanding of Carer Passport schemes within the wider context of local areas. They tend to be operated by an area-wide carers charity or statutory service, inviting carers within that area to submit an application to be part of the scheme. The application may involve an element of professional verification to confirm the applicant’s role as carer. Recognition is a strong theme amongst carers and, as part of this, Community Carer Passport schemes tend to have a physical tool (such as a plastic card) which carers can use to identify themselves easily, without having to repeat themselves in explaining their status in relation to the person they are looking after. A Community Carer Passport scheme would usually provide information to the carer about services for carers in their area and other ways in which they can access support. Existing schemes tend to involve local services and businesses joining the scheme to offer discounts or concessions in recognition of the role of carers. Local services and businesses are well placed to help identify carers and direct them to sources of advice and support, so schemes would often provide window stickers or other advertising to promote the scheme itself as well as to draw attention to the concessions available at a particular business. There is also great potential for a local offer which meaningfully engages carers. Carers play a key role in community life, and should have an increasing say in feeding back on service responses to them and those they care for. Many carers would welcome the opportunity to have more involvement in decision-making around social care for the people they care for, as well as in relation to the wider support needs of carers.